← Time for Mr. Softy Ice Cream! 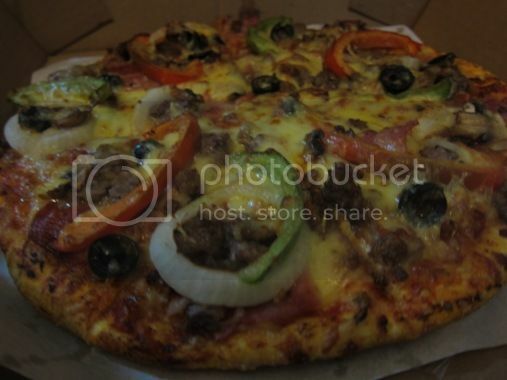 Almost a month ago, hubby surprised us with pizza and pasta treats from Yellow Cab. That’s because his application to a higher position in his office has been accepted. In short, he has been promoted at work! Yippee! He brought home New York’s Finest and Chicken Alfredo Pasta. Who wouldn’t love this pizza with all these delicious toppings? One slice is enough to fill my tummy, however, so we feasted on our leftovers for breakfast the next day. I really liked this the first time I tasted it. 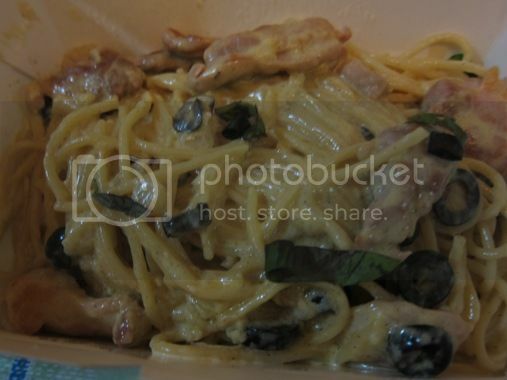 This time, however, the Chicken Alfredo Pasta was a bit salty perhaps because it had too many black olives in it. This entry was posted in Pasta, Pizza, Yellow Cab. Bookmark the permalink.